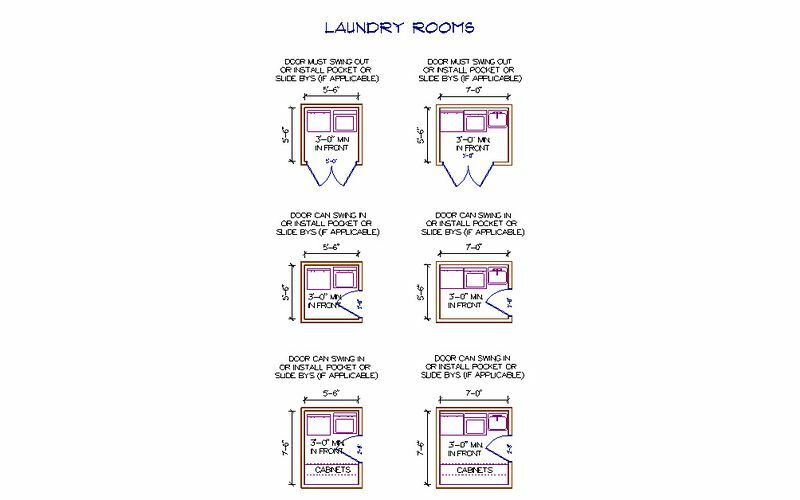 Minimum size requirements for laundry room is based upon the units installed. The importance of allowing at least 6-8 inches between wall and dryer is critical for dryer duct. Allow at least 3'-0" in front of the units to allow for access and for removal if door is not in front of units.